Pimp your disposable lighter with a pocket flame torch that will have you shouting ‘I’m the fire starter’ when you go to light the BBQ. 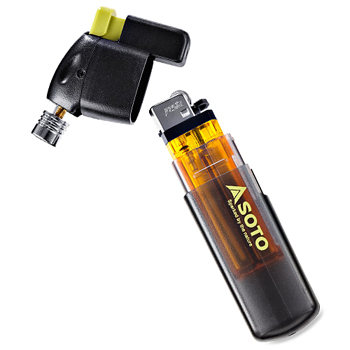 This mini blowtorch emits a blue flame and is wind resistant to make it perfect for camping trips. Just insert a cheap disposable lighter and see the difference! Dimensions (Packaging): 15 (H) x 7.5 (W) x 2.5 (D) cm / 5.91 (H) x 2.95 (W) x 0.98 (D) inches.